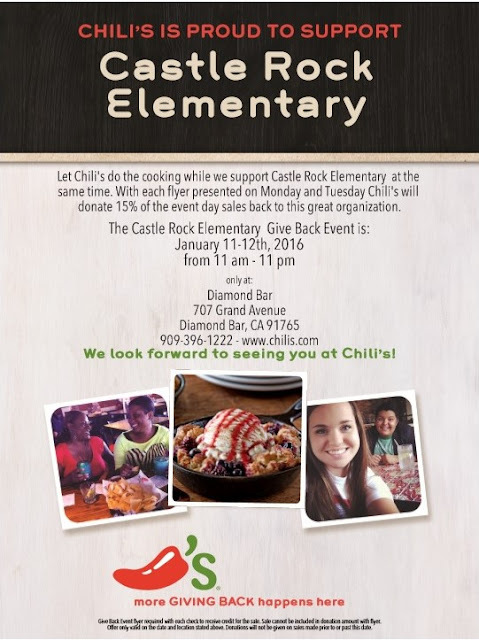 Castle Rock Community Club: Chili's Family Night Out is next Monday and Tuesday, January 11-12th, 2016! Chili's Family Night Out is next Monday and Tuesday, January 11-12th, 2016! Join us for Family Night Out at Chili's next Monday and Tuesday! 15% of all sales will be given back to Castle Rock Community Club. Present this flyer to receive credit for the sale. See you there!